Maybe you have been told you need a root canal. You may have fear and apprehension or even wonder why you need a root canal. That's understandable. 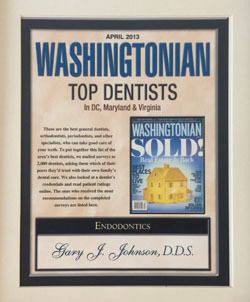 Dentists entrust their patients to our special endodontic care. We are here to deliver a comfortable experience. With our conservative approach, we will first evaluate your need for a root canal or other tooth saving procedures done at our office. Working with your family or restorative dentist we attend to your individual needs. We will take the time to listen until we understand your concerns. Your well-being is of the utmost importance to us. View our site and contact us to learn how we can be of help. 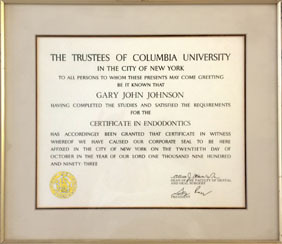 As a Specialist, Dr. Johnson has Many Tooth Saving Procedures. 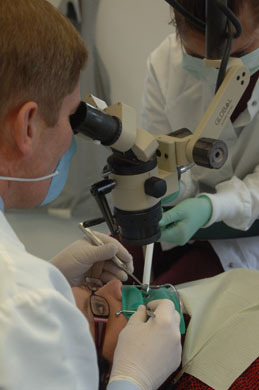 Root canal therapy is the primary procedure we do every day. After evaluation, we can select the best approach available to keep your tooth and relieve your pain. Dentists often refer to us for these reasons. Root Canal Retreatment ApicoectomyRoot Canal Surgery Cracked Teeth More..
Dr. Johnson brings with him a rich background of impeccable credentials to his endodontic practice. He has been working with general dentists in the area for over 24 years.